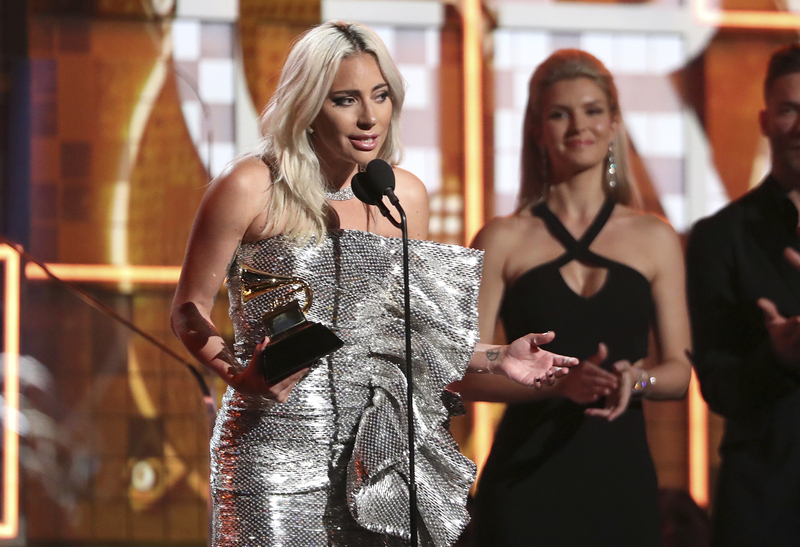 The smash hit 'Shallow' from A Star Is Born has not only been killing it on the charts but it's scooped up some of the biggest awards in the industry. 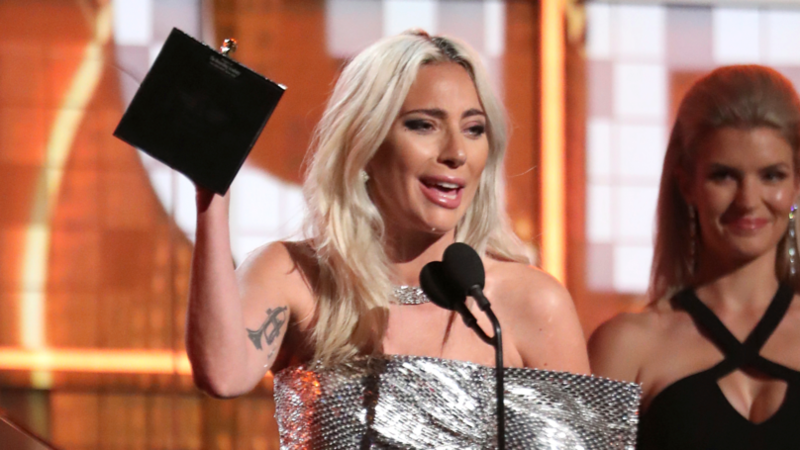 When Gaga accepted the award, barely able to fight back tears, she used the moment to deliver an important message about mental health. She told the crowd: "I'm so proud to be a part of a movie that addresses mental health issues. They're so important. "And a lot of artists deal with that. And we gotta take care of each other. "So if you see somebody that's hurting, don't look away. "And if you're hurting, even though it might be hard, try to find that bravery within yourself to dive deep and go tell somebody and take them up in your head with you." It's an inspiring message that was at the heart of the movie, with Bradley Cooper's character killing himself near the end. The film shows Jackson's mind slipping further into depression and self-loathing as well as the impact suicide can have on friends and family. No doubt Gaga's message will ring true to many people around the world. Gaga has had quite the night after not only winning a Grammy for 'Shallow' but also one for her album Joanne for Best Solo Pop Performance. She wrote on Twitter: "I'm not gonna be able to wear any makeup tonight. We just won our first of Grammy nominations for the night. "I'm in tears with honor and gratitude. Thank you @RecordingAcad #Grammys #Grammy and my co-writers and Bradley I love you so much thank you." And if that wasn't good enough, A Star Is Born won the BAFTA for Best Original Music. The accolade was specifically awarded to Bradley Cooper, Lady Gaga and Lukas Nelson, who beat BlacKkKlansman's Terence Blanchard, If Beale Street Could Talk's Nicholas Britell, Isle of Dogs' Alexandre Desplat and Mary Poppin's Returns' Marc Shaiman. 'Shallow' was nominated for four Grammys including Record of the Year, Song of the Year and Best Song Written for Visual Media. It's also won at the Golden Globes, Critics Choice Movie Awards and Satellite Awards. All eyes will be on the Academy Awards to see if she can scoop up any other big awards. We can imagine the party will be going wild in Camp Gaga tonight. Well done.